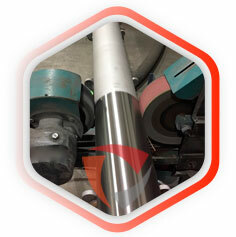 TRILOK STEEL INDUSTRIES is leading manufacturer, supplier & exporter of Stainless Steel Instrumentation Tube which primarily consists of the austenitic grades of stainless steel including 304, 304L, 316, 316L, in annealed and pickled, 2B finish, bright annealed, mill finish and polished conditions. Our stock of Stainless Steel Instrumentation Tube operating conditions can require to be rated up to 60,000Psi operating pressure and with tensile strengths greater than 220ksi (1,515 MPa)..We ensure the highest surface quality in all of our Stainless Steel Instrument Tubing.Trilok Steel Industries is PED approved manufacturer & Govt. of India recognized Export House and an ISO 9001 : 2008 accredited company. Our offered Stainless Steel 304 Instrumentation Tubesare widely used for various applications including food processing, beverages, cosmetics, bio-technology, pharmaceuticals, pure water movement, high purity gases, vacuum and semiconductors.We are also well known as Stainless Steel Instrumentation Tube Manufacturer in India. 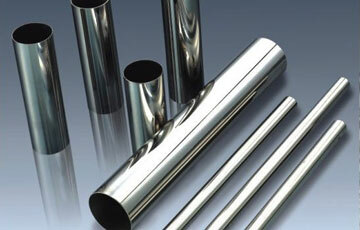 Buy stainless steel Instrument tubing at best price in India from us as compare to market price. Stainless Steel Instrumentation Tube Specification ASTM A-269, A-268, A-213, A-789 Instrument Tube, Equivalent to ASME, EN, JIS Etc. TRILOK STEEL INDUSTRIES is offering Stainless Steel Instrumentation Tubethat is designated according to its intended application, as well as by the type of mechanically attached fitting selected to join the tubing. SS Instrumentation Tubesis generally described as thin-walled tubing with strict requirements to deviation in diameter and wall thickness for leak-free operation on fluid transfer and pressure containment systems in process, oil & gas, natural gas, power, cryogenic, and performance-critical OEM industries.Stainless Steel Instrument Tubing is available from 1.6mm (0.063”) outside diameter for precision instrumentation and monitoring applications on drilling tools up to 63mm (2.475") OD. Custom lengths and sizes are available upon request. As a largest stockholder of stainless steel Instrumentation Tube includes grades stainless Steel 304 Instrumentation Tube, Stainless Steel 304L Instrumentation Tube,Stainless Steel 316 Instrumentation Tube,Stainless steel 316L Instrumentation Tube and Stainless Steel 201 Instrumentation Tubethose are used in various indutsrial applications. check latest updated price of stainless steel Instrumentation Tube. Stainless Steel Instrumentation Tube Manufacturer in India, SS Instrumentation Tubes, SS Instrumentation Tube Dealer in India, High Quality Stainless Steel Instrumentation Tube, Stainless Steel Instrumentation Tubes Exporter in India, Stainless Steel Instrument Tubing Trader, Welded Stainless Steel Instrumentation Tubes. Suppliers of Stainless Steel Instrumentation Tubes, 304 Instrumentation Tubes, Stainless Steel Instrumentation Tube Exporter, SS 304 Instrumentation Tube Importer, SS 316 Instrumentation Tube Supplier in Mumbai, India. Stainless steel Instrumentation Tubes are finished in accordance with customer needs regarding dimensional and wall thickness specifications as well as heat treatment for more demanding applications. 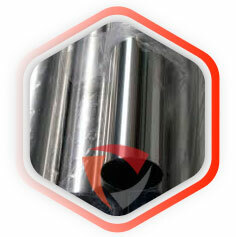 In general a stainless steel Instrumentation Tube is manufactured according to current standards API, ASTM, and ASME. If required for special projects we can also supply large diameter Instrumentation Tubes.